The first co-working space in Shanghai now has more than 20 spaces around China and is focusing on segmentation to meet its member’s specialized needs. People Squared are planning to launch co-working spaces for musicians, food startups, and content creators. Last week, we looked at seven co-working spaces in Shanghai, mostly born in 2015 along with the boom of co-working spaces in China. With its first space in 2010, People Squared became home for Shanghai’s startup accelerator Chinaccelerator and maker space Xinchejian (新车间). While other co-working spaces are busy building their next spot in notoriously high-priced Shanghai, People Squared is moving towards vertical segmentation in music, content, and food. In Beijing, People Squared M (M for music and movie) will be created in a joint effort with Baidu Yinyue and Taihe Music Group, China’s largest music group. The space dedicated for musicians will have a live house and recording room, and the equipment that they require. This is only the start of what People Squared has in mind for their future expansion. Now the project unit is getting smaller and smaller. First, we had companies, then startups, and now we have freelancers. The number of freelancers in China compared to U.S. is very small, and Bob wants to bring those people into one space to create synergy. Bob says the new co-working space opening in Shanghai will be dedicated to content people and will open till late hours. 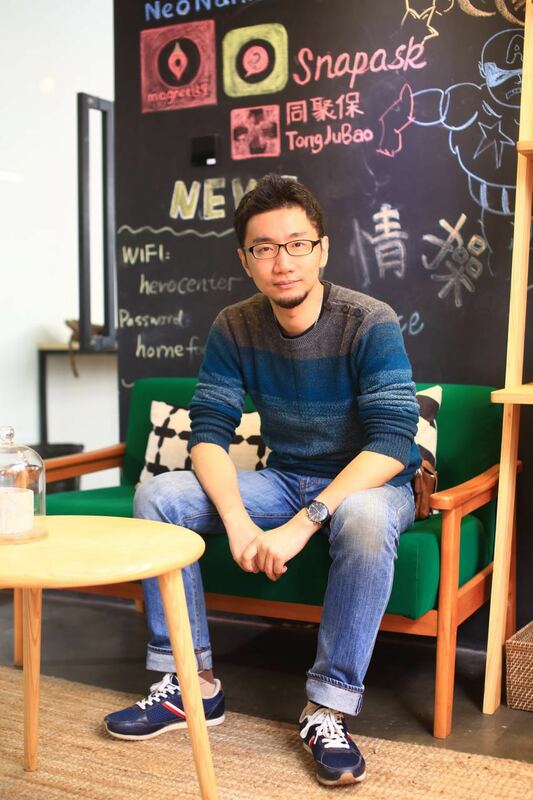 He said that there will be another co-working space for food startups, full of content creators around food. Bob Zheng came back to Shanghai from Canada in 2008. They were working on a startup Liuxueok in a space where Bob designed for the team.